National Trucking Week is being held September 4th to September 10th this year. The purpose of the week long celebration is to recognize the important contributions made by the 400,000 Canadian men and women who keep the country’s freight moving. 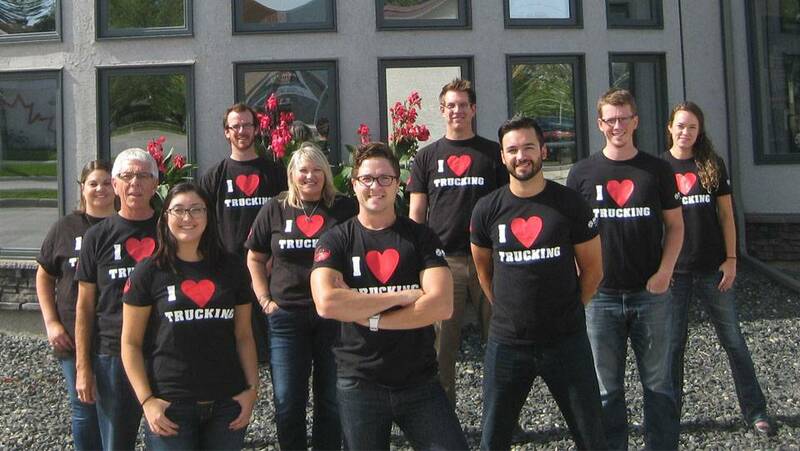 Rempel Insurance has been a proud supporter of the National Trucking Week for many years and to show our support, we have I ♥ Trucking t-shirts that will be worn during the week of September 4-10, 2016. We have also entered a team into the annual United Way Truck pull and are part of the World’s Largest Truck Convoy. › Honk at us while you drive by our office at 207 Main Street South, Morris, MB. celebration pictures to info@rempelinsurance.com so we can use them on our website and social media.